A phobia is defined as an extreme or irrational fear of or aversion to something. For those people who do not have any phobias, it can appear quite comical to see someone have a phobia of frogs for example. Those people can rationalise and say with certainty that a frog can not harm them. Those who have phobias of frogs have normally had a very frightening experience. It may be that they were trapped in a room with a frog jumping around, a frog may have crawled over them and it most definitely caused them a huge fright. What ever the reason and what ever your phobia, your subconscious has identified it as a threat. Ultimately, it will now endeavour to avoid the threat. It will create the awful panic and anxiety when you think about or when you are in proximity of your phobia. When we think of anything, the first thing that happens is a picture of it will pop into our heads. If I ask you to think of a cat, you immediately create an image of a cat in your head. 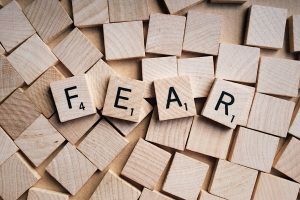 When you think about the subject of your phobia, you may go directly to the image of what happened when the phobia began. With NLP, we change the “go to image” in your mind. Once we have changed the image in your mind, we can use hypnotherapy to free you of the fear and let your conscious self take back control. You can begin to accept what happened to you. You can rationalise that however unpleasant that experience was, the same thing will not happen to you again.